In this third part of the series, we take a look at how to use a HeadCam to improve your general orienteering technique. This includes your map reading technique, where you look, how you focus and your orienteering flow. A lot of focus in this article is put on map reading technique – including discussions on combining HeadCam footage with other ways to record map reading characteristics (accelerometer). Improving the general orienteering technique using a HeadCam is a lot more tricky than looking at specific mistakes/time losses like we discussed in part 1. It is also a very time consuming process to do it systematically. The one doing the analysis should be rather skilled in understanding of orienteering technique – typically a coach or somebody who has worked with orienteering for many years. The setup is very similar to part 1 – see the table below for details. Table: Overview of HeadCam analysis for improving general orienteering technique. HeadCam mounting Either on the head, on the chest, or on the head of somebody running behind – depending on which part of the technique you are focusing on in the analysis. Target level Elite runners on relatively high level to get the maximum out of it. For lower level, the analysis described in part 1 is more appropriate. Who performs the analysis Most often the runner with help from coach/discussion partner. If the coach is to do the analysis, the runner must be tightly involved. Required equipment A HeadCam is required (different HeadCams will be considered in the last part of this series). A GPS watch/GPS unit will make the analysis a lot easier/faster – and is required if a coach is going to participate in the analysis and give feedback. Special mounting arrangement if chest mounting is to be used. It is very advantageous to combine the HeadCam-video with an automatic map reading detection device/procedure in order to do the analysis more effectively and compare technique with other runners (more about that below). Software A software tool which plays the HeadCam video synchronized with the GPS-data will make the analysis a lot easier/faster to perform (see part 1). It should also be possible to jump easily back and forth in the footage. Map reading technique. This is the type of analysis which is focused on by most elite runners when you ask them about the use of HeadCam for o-technical analysis. Typical aspects which are highlighted by the runners here are map reading frequency, map reading duration and map reading type – but as you will see in the discussions below this is only part of the story. Note however that HeadCam might not be the optimal tool for this analysis – more about that below. Direction of view. Optimization of where you look and how you move your head. Do you look far enough ahead? Does it change when you get tired? Orienteering flow. Combination of the two above – also including the way you move through the terrain. Each of these type of sessions is considered separately below. There is some overlap between these types of analysis sessions, but I have divided into three types to be able to make a more structured discussion. Most (if not all) runners need to slow down in order to read the map due to (1) the need to keep the map steady and (2) the need to see the ground/terrain. Relative speed reduction during map reading is usually bigger in terrain with bad runnability compared to terrain with good runnability. This is especially the case for terrain in which you need to look a lot at the ground while running. Relative speed reduction during map reading is lowest on roads/paths. Speed reduction for short map reading events (1-3 seconds) is typically lower than for longer map reading events – especially in terrain with bad runnability – because you don’t need to slow down to see the ground/terrain for these shorter map reading events (you can make a mental picture of the ground for the next few meters and run on auto-pilot). Not looking enough at the map (either too short map reading duration or too low map reading frequency) will lead to mistakes, or at least time losses due to a transition from short map reading events (confirmation type) to longer map reading events (retrospective – more about this below). Thus it is evident that the sum of the total map reading time should be kept as short as possible, while on the other hand still reading the map enough to avoid time losses due to mistakes. Also, it might look like short map reading events are generally better than longer map reading events. For example, you would probably find that 5 x 2 seconds map reading slows you down less than 1 x 10 seconds map reading – at least in terrain with bad runnability. However the amount of information you get out from the 5 x 2 seconds compared to the 1 x 10 seconds is a different matter – this is were different types of map reading come into play. Thus it is dangerous to generalize and simply say that high map reading frequency/short map reading duration is good and long map reading duration is bad – it all depends on type of map reading. A proper combination of long and short map reading events is probably optimal (more about that below). These map reading events are somewhat similar to the ones described in a paper on map reading technique by Martin Lerjen, although there are some differences as it suits the focus of this article better in my opinion. The use of headcam has been pointed out by many elite runners and coaches I have interviewed as being the chosen way to analyze your map reading technique. However, using a HeadCam video to analyze map reading characteristics is very time consuming. To make a full analysis, you have to look through the video and mark map reading events and map reading lengths on the map – as done in the example in part 2 of this article series (see map sample to the right). A very good supplement for analyzing map reading technique, is using an accelerometer attached to your map reading arm/hand. It is a lot less time consuming (you can analyze your map reading after every training/event and make statistical analysis without spending much extra time) and it gives very interesting possibilities for comparing map reading characteristics between different runners. A combination of the use of HeadCam video and accelerometer is probably the best way to analyze your map reading technique. Below an example of a recorded map reading using an accelerometer is shown for a specific leg. As you can see, you here get a lot of information directly from the unit, without having to look at the HeadCam video. The accelerometer applied here is another one than the one used in this earlier article at o-training.net, but any accelerometer with data logging ability will do (there are quite a few on the market). I have also tested with an iPhone/iPad /Android phone, and except for it being awkward carrying it below the map and it affects your compass, it gives you the data you need when using appropriate applications. With the basics about map reading and the equipment set, we are ready for analysis and training approaches. A very important point for the analyzing of map reading technique is that the runner has to be an integral part of the analysis, as it is often not possible to categorize the map reading events based on the HeadCam video or the accelerometer data. The duration of a map reading event in itself does not tell which type of map reading event it is. This information must come from the runner him/herself. Typical analysis techniques for analysis of map reading characteristics are given in the table below. I consider this a work in progress – so please add your comments below. Table: Typical focus points for analysis of map reading technique and characteristics. Identify reason for specific time losses Already considered in part 2. Did the athlete look at the map often enough – or was the mapreading frequency too low ahead of the time loss? Did the athlete look at the map long enough to perform the task at hand? In many cases the mapreading frequency and/or characteristics (see below) is one of the factors behind a loss of time/mistake. Analyze number of “unnecessary” long map reading events Generally one should try to reduce the number of “unnecessary” long duration map reading events, as these are the ones which slow you down the most. Try to convert as many of these into map reading events which are shorter. These long map reading events which you want to get rid off are often of the retrospective type, i.e. map reading events of the type “where have I run”. You can reduce the number of retrospective map reading events by planning in advance (good mental picture of the terrain and having a plan for the leg) and check often with short duration map reading events (checking map for details/direction or checking map for coming features). Analyze relation between map reading and runnability As discussed above, relative speed reduction during map reading is usually bigger in terrain with bad runnability compared to terrain with good runnability. Using a combination of HeadCam footage and accelerometer data you can analyze if your technique is optimal in this respect (it is in an orienteers instinct to read the map where the runnability is best, but there is still often room for optimization if the runner targets this specifically). Would it be better to read the map 30 meters earlier/later and memorize for a longer period of time instead? This is tightly related to micro-routechoices and flow. Systematic analysis over time – and exercising with this focus – can help you improve this part of your map reading characteristics better than “the intuitive way”. Analyze change in map reading characteristics through a competition/high intensity training (tiredness) Typically map reading characteristics can change during a competition due to tiredness. This is especially problematic if it leads to mistakes. This can be evaluated using a combination of HeadCam and accelerometer data, by compare map reading statistics and characteristics at the start of a competition with corresponding figures towards the end of a competition. Especially look at places with mistakes, but also look at general characteristics. Thierry Gueorgiou about his HeadCam experiences: - The first things I learnt was that my map reading frequency decreased during the race, which is obviously a sign of tiredness for me as I am use to keep it quite high. Compare different runners Probably the most interesting way to analyze map reading characteristics is to compare the techniques of different runners in a team (elite level). For this to be feasible, accelerometer based data of map reading technique is required, as it takes a lot of time to analyze HeadCam footage. GPS tracks with map reading data overlayed can be compared, and characteristics discussed between runners/coaches in order to understand the strong and weak points in each runners map reading technique. Note that optimal map reading typically varies between individuals, but this is a way to understand weak and strong points. This analysis must of course be followed by targeted training to change the map reading in the desired direction if non-optimal map reading characteristics is identified. Analysis is one thing – learning from the analysis is another matter. As always in o-technical training it is beneficial if the runner has a specific task for the training – i.e. to improve a special problem which has been identified earlier. In order to learn something from the map reading analysis, I have suggested a set of exercises in the table below in order to be able to evaluate the performance using HeadCam video and/or accelerometer data – and improve through repeated exercises and evaluation. These are not necessarily the best exercises – and most are not tested – but rather some exercises which it should be possible to use to train specific parts of the map reading. Please add a comment if you have other suggestions. Table: Suggested exercises for map reading analysis. Exercise: Optimize map reading with respect to runnability Run a high intensity orienteering training/competition in which you focus specifically on optimizing map reading with respect to runnability as discussed above. Evaluate based on the techniques discussed above. The exercise should be repeated several times – and analyze if there is improvement over time. It is not necessary to use HeadCam/accelerometer each time the exercise is done, but evaluation with HeadCam/accelerometer should be done from time to time. One variant of this exercise is to not run at 100% speed the first times you do the exercise, in order to have more time to focus on the optimizing of your map reading. Exercise: Simplification The use of the combination HeadCam/accelerometer lends itself well to evaluating a runners ability to use simplification in their orienteering – there are not many other tools which are readily available for this. The idea is that when you manage to make a (good) simplified mental picture of the terrain, you can move through the terrain with shorter map reading events than if you have not made a good simplified mental picture of the terrain. However, this will (in most cases) come at the expense of using more time for the initial map reading event for which you make the mental picture of the terrain. The HeadCam/accelerometer combo lends itself very well to evaluate simplification. Note however that for the evaluation to be effective, you should (1) do subsequent trainings in similar terrain and/or (2) compare yourself with other runners on the same course. This evaluation is not the easiest thing to do, but it should be a possible a way to evaluate simplification (I have not seen many other ways to evaluate simplification exercises in orienteering). Exercise: Shorten map reading duration for short map reading events If you haven’t tried to shorten the duration of your short map reading events, i.e. the check/confirm type of map reading events, there might be room for shortening it by targeted training on this feature. Reducing average map reading time for these short map reading events from 3 to 2 seconds, while still getting out the same information will be very beneficial. Targeted training on reducing map reading duration for a given amount of information withdrawal is thus something which should give possibilities for improvements. The good thing about the accelerometer setup is that you can easily get statistics regarding average map reading duration, and thus it is possible to directly evaluate if you manage to improve your map reading time for the short duration map reading events. Shortening these should increase your overall time loss due to map reading. Exercise: Direction running technique Use of map (and compass) reading characteristics is a good way to analyze your direction running (compass course) technique – especially by comparing to others – as this is a very specific task for which it should be possible to identify an optimal technique. Exercise: Make mental image of terrain and map memory (including simplification) An excellent capacity to build the whole picture of the leg you are running, i.e. high speed translation of the map to a mental (3D) image of the terrain in your head, is an integral part of a good map reading technique. If you don’t get the information from the map quickly enough (due to lack of practice or experience), you will (1) end up using a lot more time for your long map reading events to make a mental image of the terrain and (2) have to update it more often using semi-long map reading events (which might even need to be long map reading events). Also, if you don’t manage to simplify the terrain well enough, you will probably have to update your mental image more often. Also, doing the simplification fast is an important property. Thus you should focus on different exercises geared towards making a mental image of the terrain, simplification and map memory. A few exercises: Catching Features (probably the best exercise! ), Map understanding exercises, Draw simplification map, Map memory and Map memory Duo. 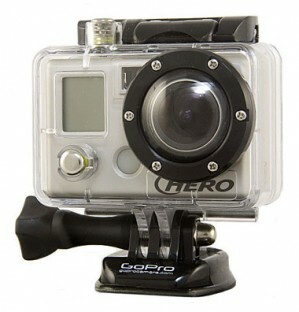 The HeadCam/accelerometer comes into play in the evaluation of your progress. The evaluation process must go over quite long time. Looking at the map without getting any information from it is a direct time loss. It is therefore of course important that you optimize your map reading in such a way that each map reading event gives you some additional information which is vital for your orienteering. So the question is – how to only look at the map (or compass) when you need it? The key to that is surely to be “ahead” in your orienteering at all times – because then you will know which information you need – and you will also know when you need to look at the map. Then most of your map reading event will be of the check/confirm type – i.e. map reading events which are short. This again means that you can have a high map reading frequency if the terrain demands it (if not, there is no reason to have a high map reading frequency). In addition you need longer map reading events to get a good mental picture of the terrain. Use long map reading events in order to make a good mental picture of the terrain at appropriate intervals. Spend enough time for these map reading event to make this a simplified image of the terrain in your head. Depending on runnability and capabilities, this long map reading event might be divided into several shorter map reading events which each are part of the “puzzle”. You typically have few of these long map reading events. Use semi-long map reading events to update this mental picture of the terrain. Either to better remember the mental picture or extend it to a larger area. There are typically more of these than the long ones. Use short map reading events – typically with high frequency if the terrain requires it – in order to check/confirm your mental picture, add small details to your mental picture (i.e. stones). This could also include compass check events. These would typically be the map reading events used most often. In order to be able to keep a majority of your map reading events short, you need to be ahead in your orienteering, so that most of your map reading events can be of the check/confirm type. Note that this is just one suggested set of “optimal” map reading characteristics. It might not suit all runners, and there might be alternative approaches which are equally good or better. For example, an other approach could be to make an extremely detailed mental image of the terrain with the long and semi-long map reading events (this is difficult, but some my manage to train it), and thus making many of the short map reading events unnecessary. However, it you look at the top elite runners today, most of them have a technique which involves a relatively high map reading frequency. In addition to map reading technique, another important part of the orienteering technique which may be analyzed and trained using a HeadCam is your head movement and where you look/focus in the terrain. As for analyzing map reading technique, the runner must be part of the analysis of the HeadCam video. The analysis is easier if the runner can help categorizing the focus of view, i.e. why the runner looks in a specific direction during the course. It is a tough job to characterize “each look” the same way as each map reading event is characterized, but using that type of approach in the analysis will make it easier to understand how the technique can be improved. Characterizing the time you spend to look around in the terrain makes it possible to understand if you use enough time for all the required tasks. In particular, it is interesting to compare this characterization with specific mistakes. If you don’t search actively for specific features in the terrain, you will not be able to spot them early enough. Thus it will probably lead to time losses. If you only actively search for specific features close to where you are, and not far ahead, you loose potential time gains due to reduced need for map reading/lower risk/higher running speed. If you don’t look far ahead for steady direction, your ability to run straight is decreased. If you don’t compare terrain with mental image of terrain, it will be more difficult to spot mistakes. In the table below I have tried to categorize different reason for looking in specific directions, in order to make it possible to characterize what you see on the HeadCam footage. Active focus/search for specific features How is the interplay between which direction the runner looks and the mental picture of the terrain, i.e. does the runner actively look for features which are important for the controlling the position on the map (or more accurately, the position in the mental image of the terrain). A skilled orienteer who is well ahead in the orienteering (i.e. has a mental picture of the terrain) will look for specific features (or event the control point) in order to confirm the position. Remember also to think about simplification in this regard. Look for specific features far ahead This is actually a part of “active focus on specific features” above, but important enough to deserve its own mention in this table. Spotting features far ahead may reduce risk significantly, and also lead to reduced need for map reading and increased running speed. Ideally the runner should look for specific features far ahead based on the mental image of the terrain. This makes it easier to spot specific details. Additionally, good knowledge of the terrain type makes it possible to know which details are visible and distinct from far away – making spotting specific features far ahead even easier. Look far ahead for steady direction Looking far ahead is important in order to keep a steady direction. Does the runner look far enough ahead – and often enough – during direction running? General comparison of terrain with mental image of terrain Looking in all directions in order to compare the mental image of the terrain with the actual terrain is an important strategy in order to reduce time loss due to mistakes, i.e. understanding the mistake as soon as possible due to spotting features which are not part of the mental image of the terrain (or alternatively not spotting features which should be there). A map reading “check” event is then needed to check/update. Micro route choices Looking actively for good micro route choices is an important part in moving fluently through the terrain. Does the runner look specifically for good micro route choices, or is all the available time used for map reading, looking for specific features and looking at the ground in order to run fast. As for map reading characteristics, exercises and evaluation are important tools in order to improve. My best advice in this regard is to choose one or two of these tasks as focus areas, and focus on them on a high intensity training where you run with a HeadCam. After the training, you evaluate the HeadCam footage while comparing the footage with your memory of why you looked where. As always, there is probably most to learn in the areas for which you had time losses. Using the setup with 3DRerun or Attackpoint in part 1 you can easily analyze the areas of interest. The final part of this article is the “orienteering flow” – what all orienteers want to achieve. 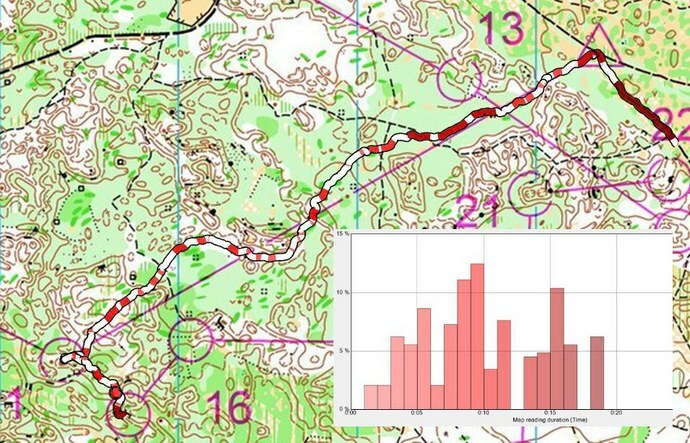 To analyze orienteering flow can best be characterized as a mental exercise – i.e. replaying the HeadCam video along with your mental replay of the run/competition/training. This is the optimum timing, composition and application of all the techniques/tools you have got. Analyzing the orienteering flow is looking at the small details – and see the purpose behind everything you do in the context of your orienteering technique and your abilities. It is the optimization of the interplay between map reading, where your mental focus is, where you look in the terrain, and how you move through the terrain. Thanks a lot for this serie. Although pretty expensive, there’s a camera from Contour that already has an incorporated GPS and could turn the process easier. Thanks Miguel. I know all about the Camera from Contour – I have the previous version myself (without GPS), and a friend of mine has the one with GPS. The one with GPS doesn’t give you any easier workflow at all as far as I am aware of – you still have to calibrate the orienteering map. Using a separate GPS watch (as most orienteers have) gives you the same workflow. Anyway, with the workflow with 3DRerun as described in part 1, it only takes you a few minutes to be up and going. Send me an email if you want to test it in 3DRerun.